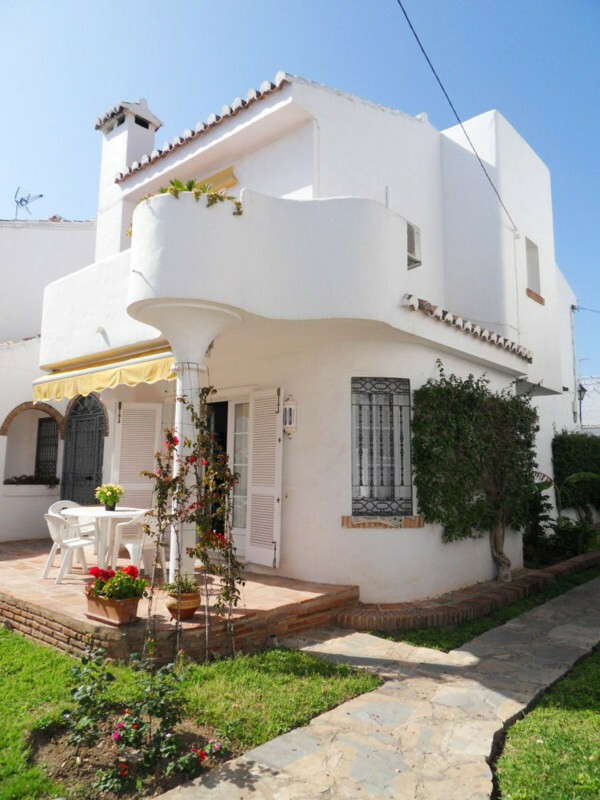 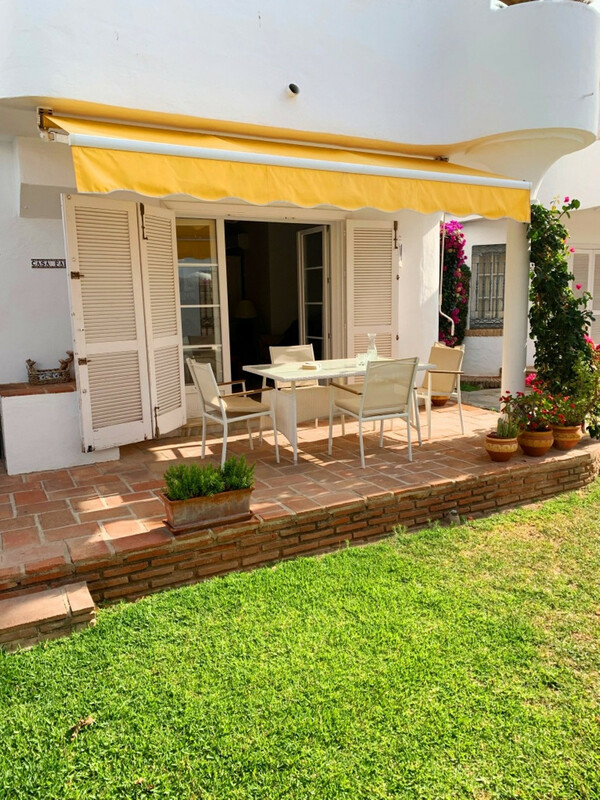 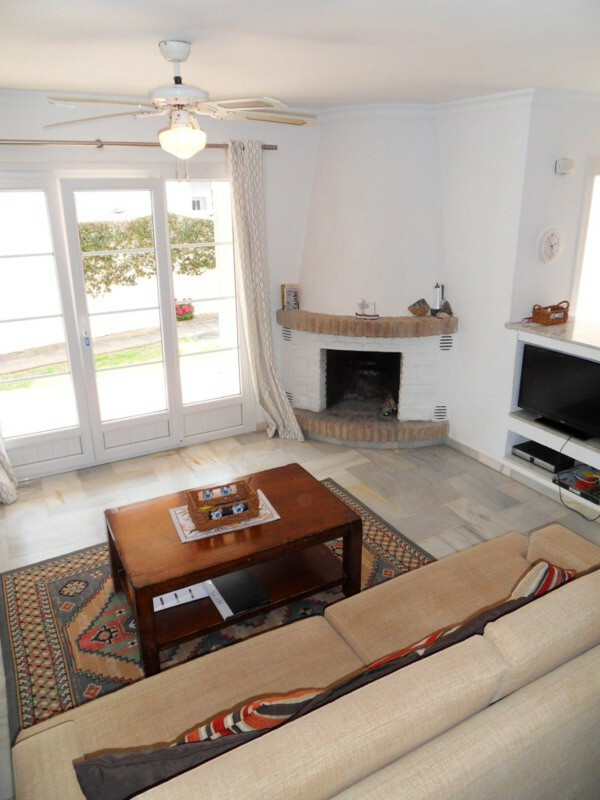 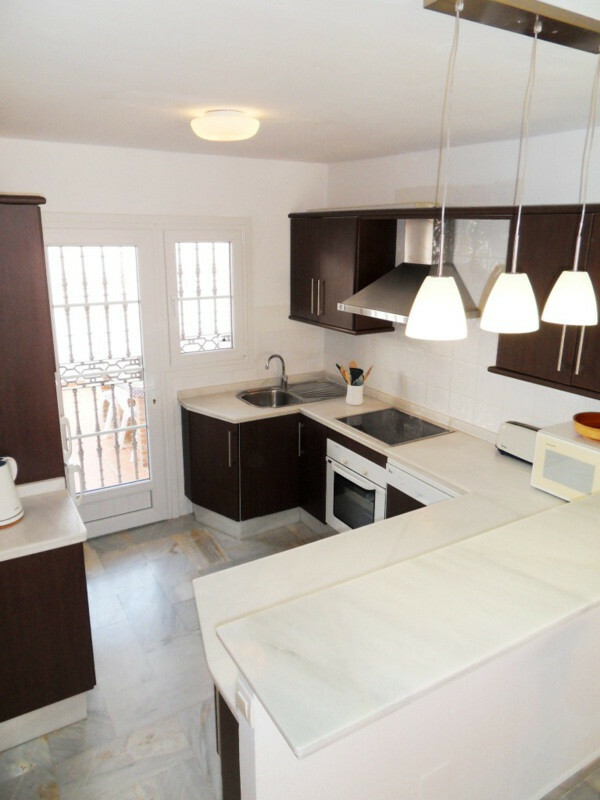 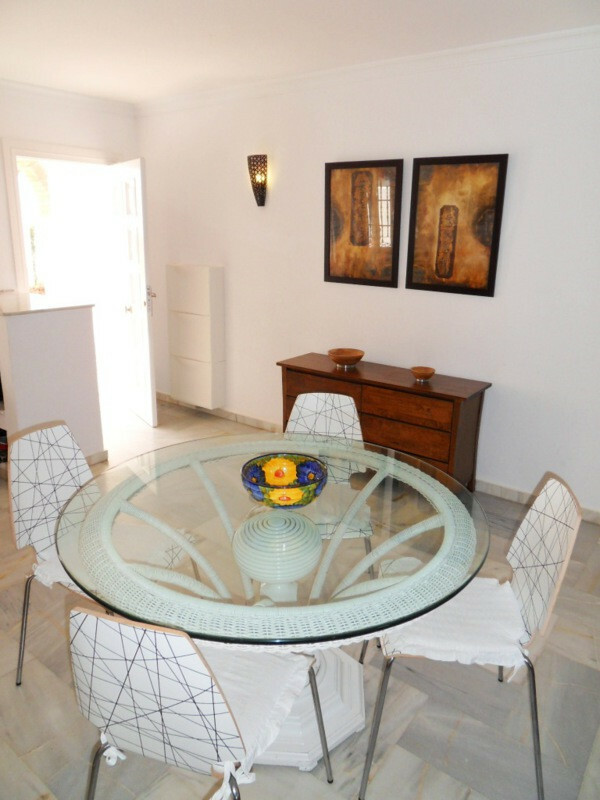 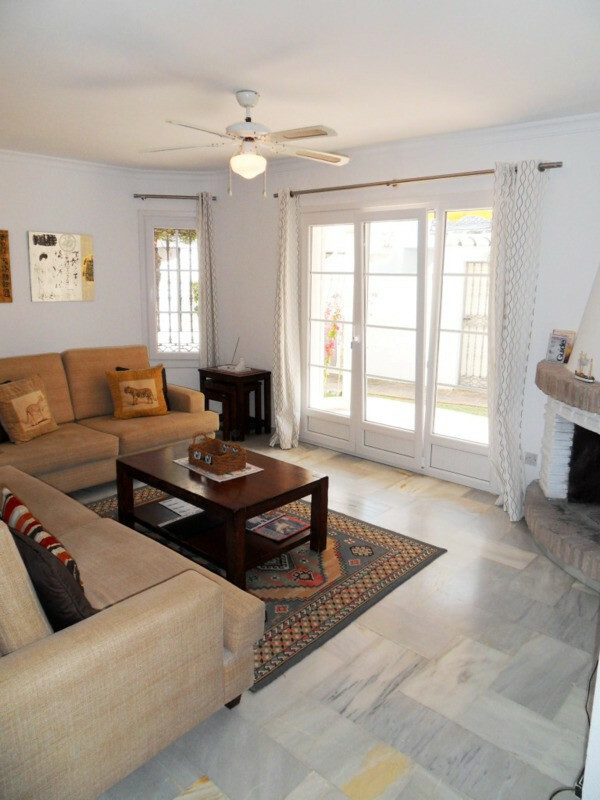 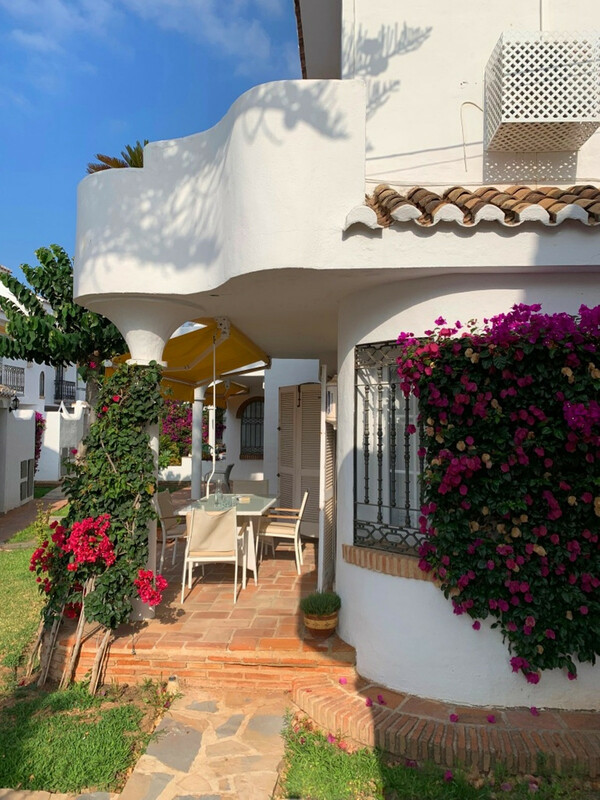 VFT/MA/18130 - Your opportunity to holiday in a 3 bedroom townhouse in the ever popular Mijas Playa Club. 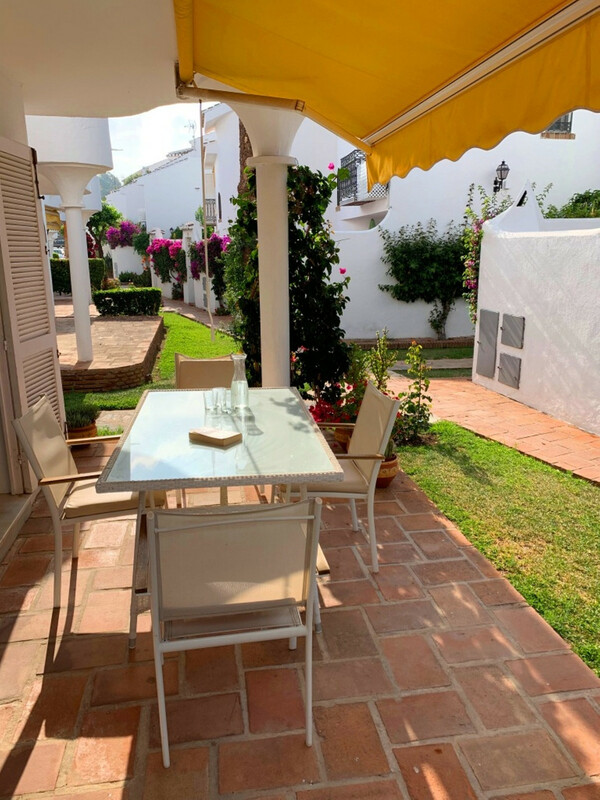 Situated at only 50 metres from the beach, this beautiful house has been fully refurbished and offers spacious living areas, a fully equipped open plan kitchen with a private rear terrace with BBQ and a beautiful front porch with awning as well as a/c throughout. 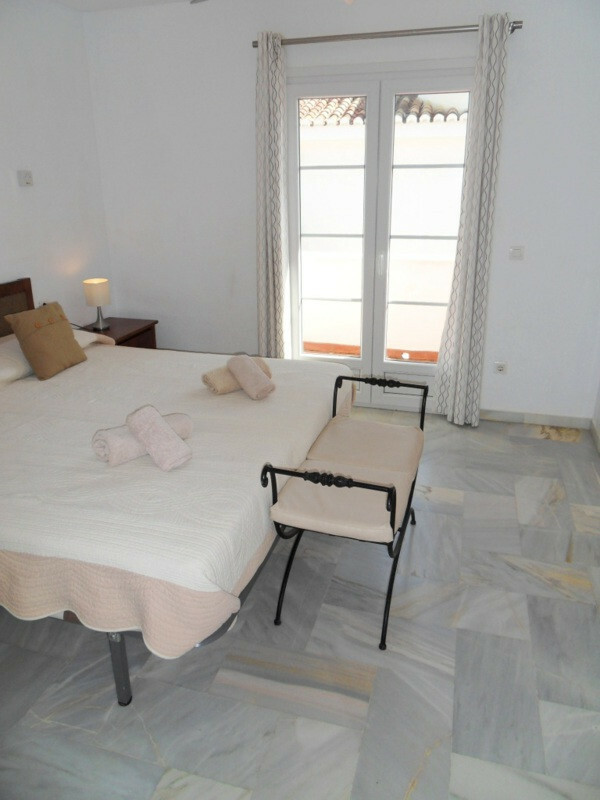 There are ceiling fans in all the bedrooms. 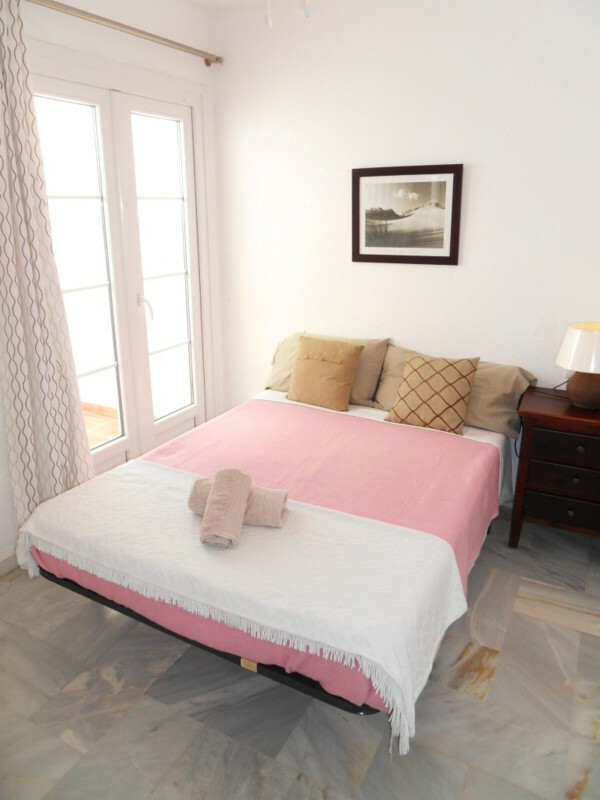 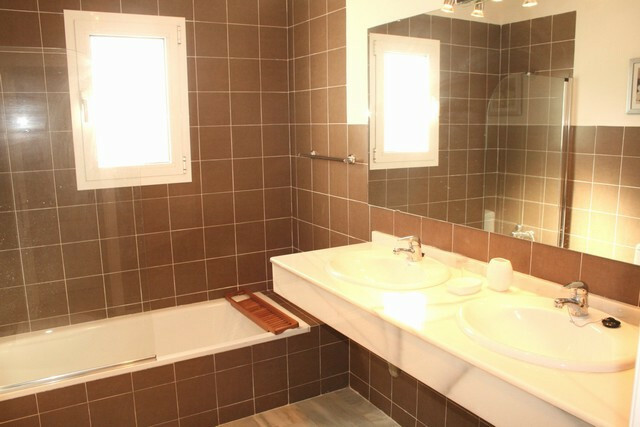 On the 1st floor, there are two bedrooms sharing a bathroom and the main, en-suite bedroom. 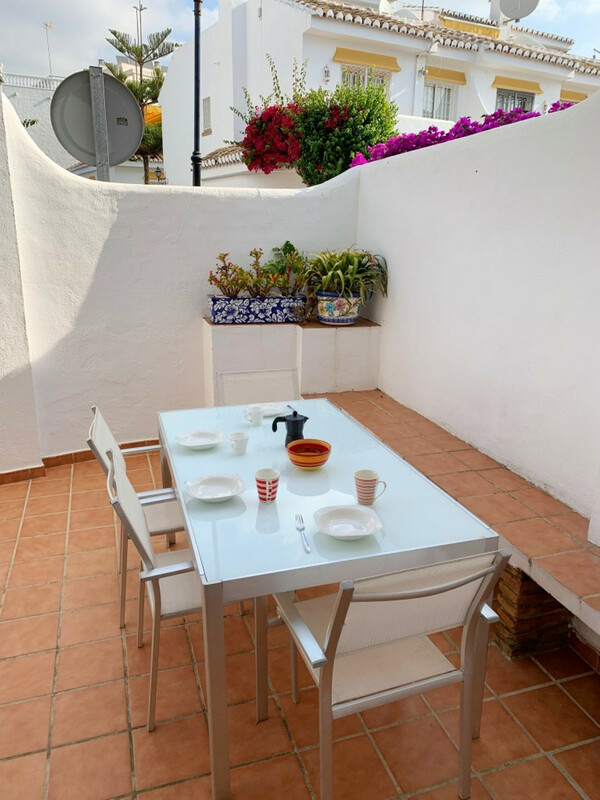 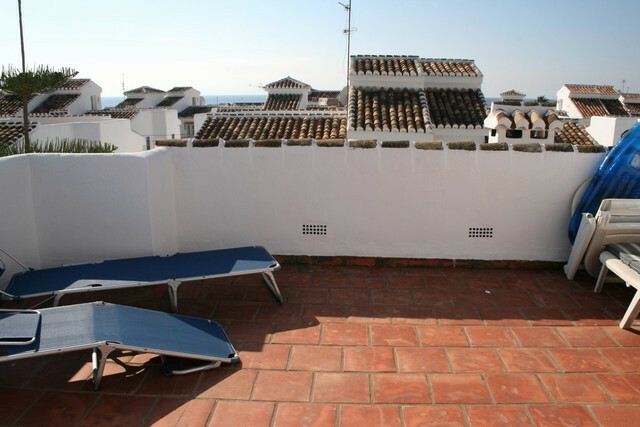 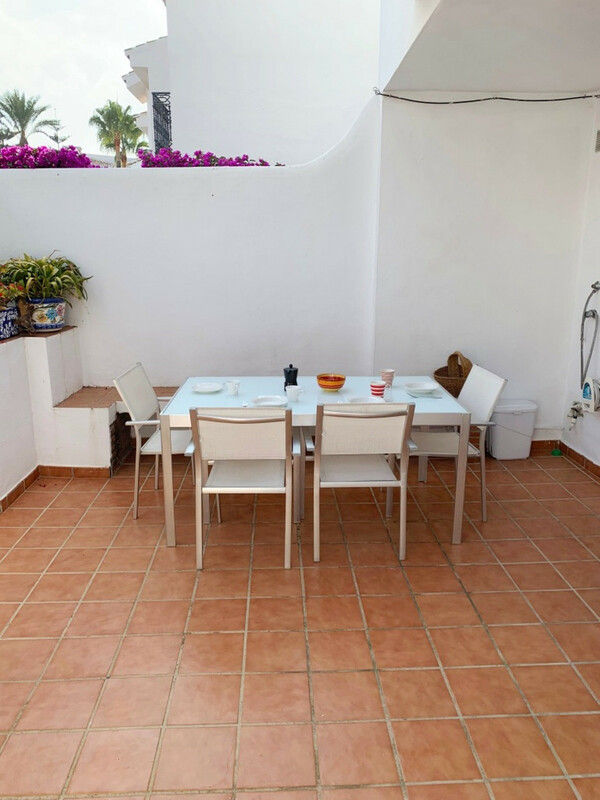 On the third level, there is a roof terrace with great views overlooking the sea. 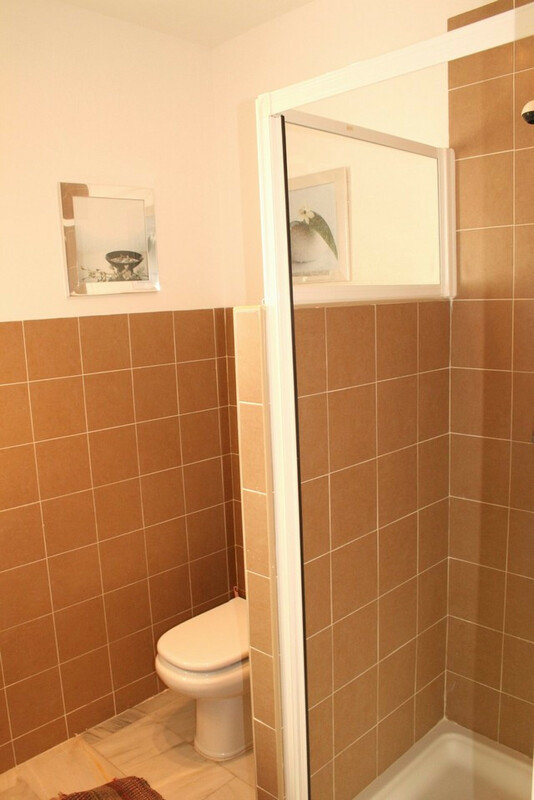 Strictly no smoking!